My son has had ongoing issues with being "regular". Changes in diet, medications, fluids, etc. have all played a part in this. Per his doctor we were giving him the regular Culturelle daily. However, that didn't help with his regularity issues. I have spoken with his doctor and she was thrilled with Culturelle® Kids Regularity Gentle-Go™ Formula. She said to give him this daily, instead of the regular Culturelle. My son (2 years old) has been taking one packet daily for about a month now. Can you say "Yay!" for having a child who is now "regular". I highly recommend this product if your child is having regularity issues. Both my child and I think that this product works wonderfully! The ONE complaint I have, is that it doesn't mix well. In milk it didn't dissolve well and made the texture too grainy. In the purees, it is super chunky and takes quite the effort to make it all blend in. In both room temperature and refrigerated purees of both fruits and veggies. The coloring book is a little cheesy, but fun. 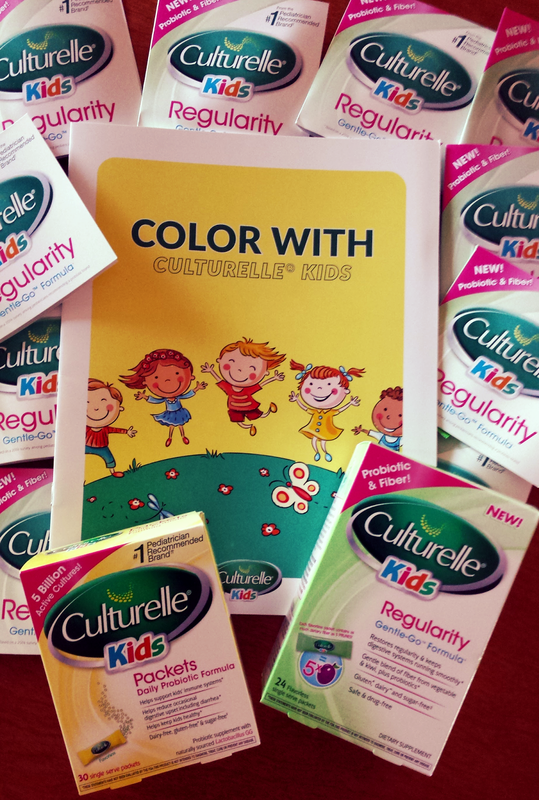 I was very surprised to receive a box of Culturelle® Kids Packets Daily Probiotic Formula in addition to the "Regularity" box. Good job Culturelle! I have always liked your products, but I like them even more now. 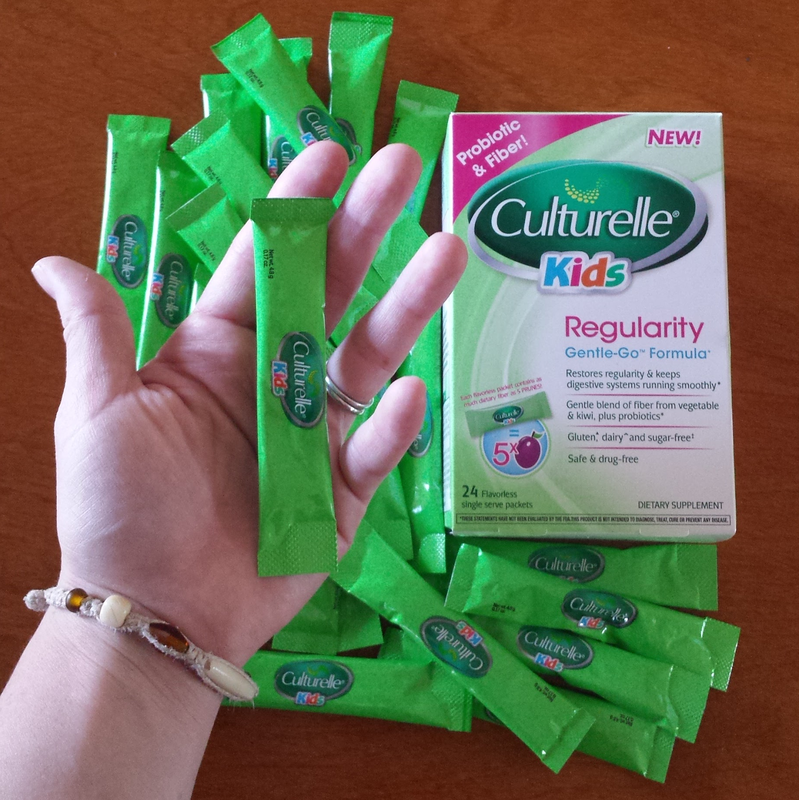 from Culturelle through Smiley360 for free in exchange for my honest review. All opinions expressed are mine alone. Digest important Culturelle® information on their website. 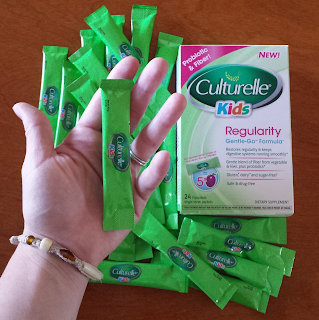 Save $5.00 on Culturelle® products here. Culturelle is distributed by i-Health, Inc. © i-Health, Inc. 2016. All rights reserved.